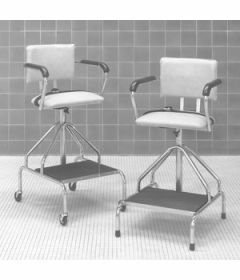 OrthoCanada is a distributor of Whitehall Whirlpools and accessories in Canada, including whirlpool chairs..
Additionally we carry the Seers Medical Shower Trolley designed to provide transport to and from the showering area. 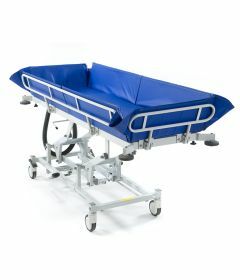 This mobile hydraulic Shower Trolley features a foam padded PVC liner for added patient comfort, a linked wheel system with central locking and steering facility, as well as fold down side support rails for patient transfer. 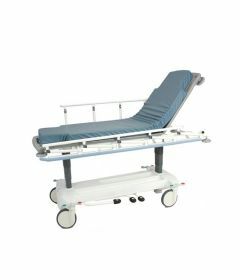 It features a safe working load and lifting capacity of 240kgs and large mobile wheel design with central locking and steering facility. For assistance please call 1-800-561-0310.